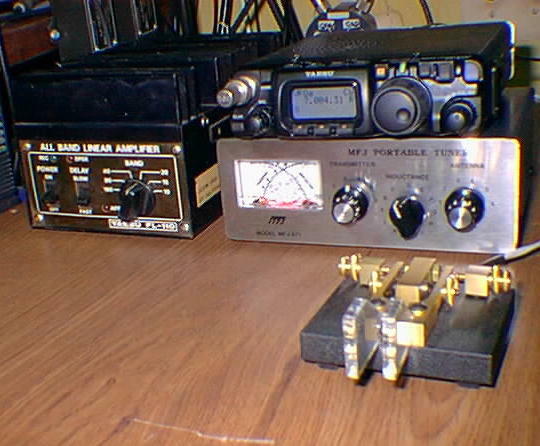 The Yaesu FL-110 160-10m HF linear ampflifier, what a wonderful match for the the Yaesu FT-817, if only it had 6 meter coverage too. 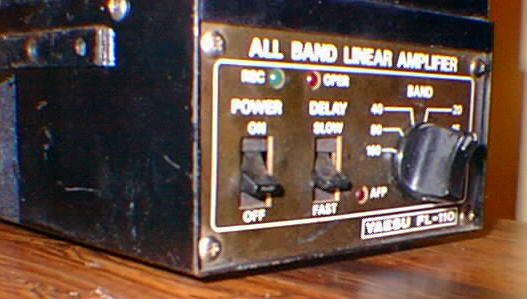 I acquired this old Yaesu FL-110, pre-WARC band days, solid state 10w in, 100w + out amplifier to use with my Yaesu FT-817. 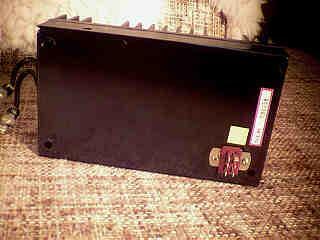 This amp originated with the Yaesu FT-7 the best I can determine. 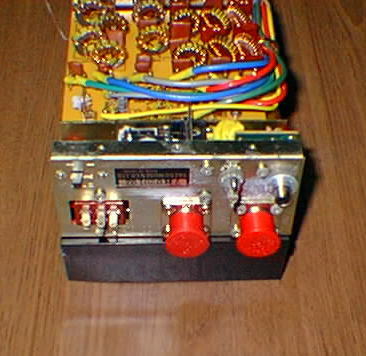 The FL-110 is a 160-10 meter amplifier that actually has a front panel mounted band switch. It has been very popular with the Yaesu 10w radio crowd such as FT-7, FT-301S/SD and FT-70 users and other radios as well over the years for a bit extra punch when that rare one is about to slip away or you just need to get through. 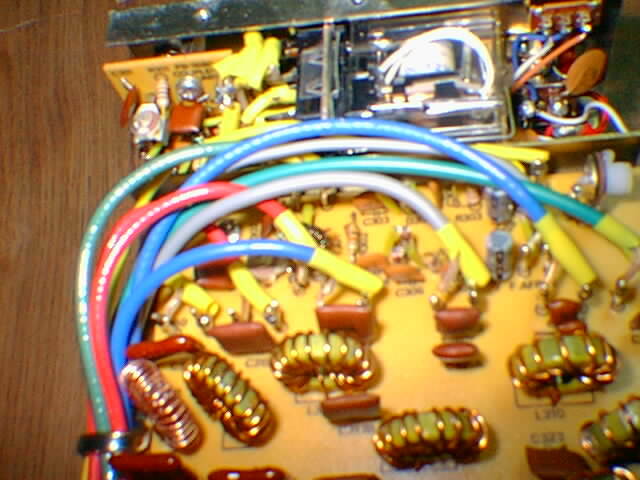 The unit is for all intents and purposes the final 100 watt output amplifier portion of the Yaesu FT-301 HF transceiver. 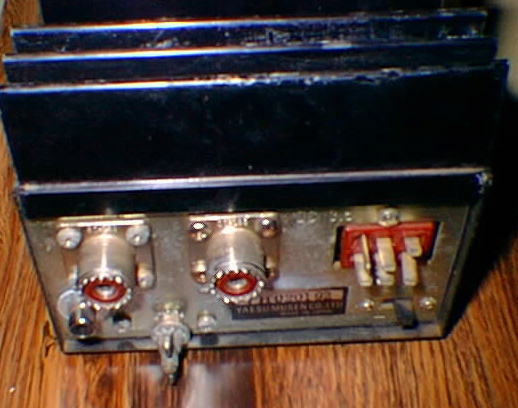 The FT-301 was sold as a low power version without the amp, or, as a 100 watt radio with this self contained amp bolted on the back. 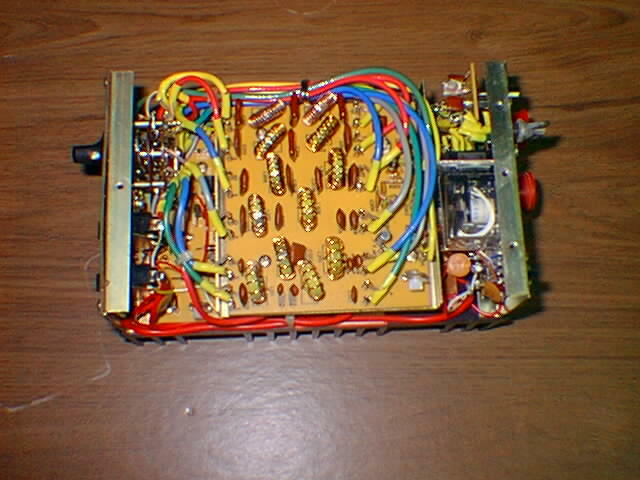 Yaesu also sold a stand alone version as the FL-110 which has become quite in demand for boosting QRP operation. 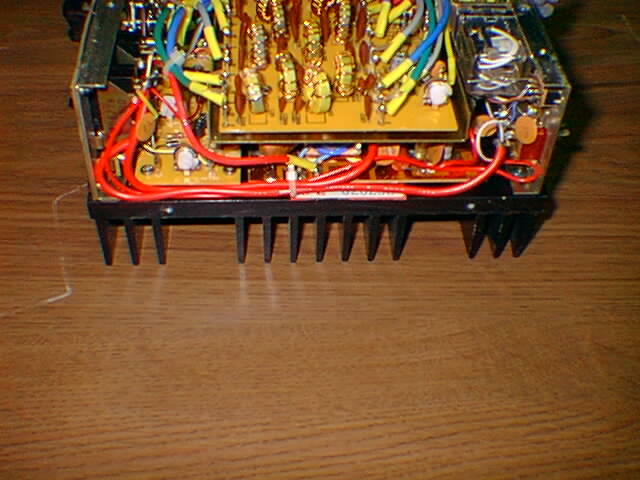 The FL-110 HF linear amplifier was released for the FT-301S in April, 1977 in Japan. 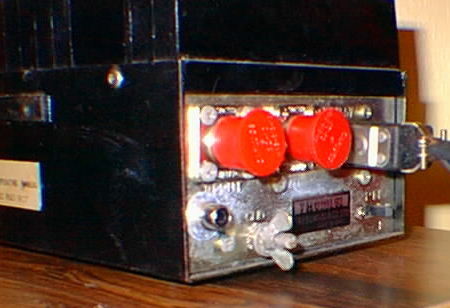 Some of these laster bolt on units had the 12 volt power relay contained inside the amplifier. 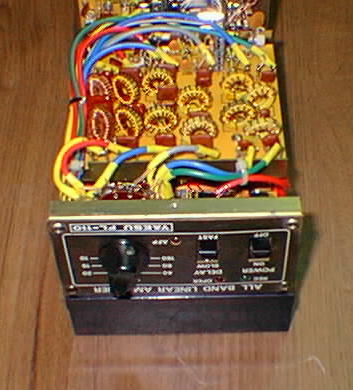 Thus one can use it as an outboard amp by supplying DC power to the connector and an adapter on the BNC output cable. 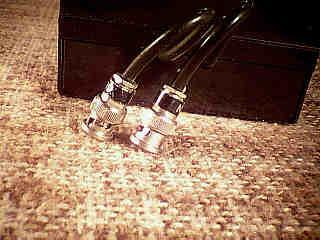 Below is a close up of the input and output BNC connector cables. 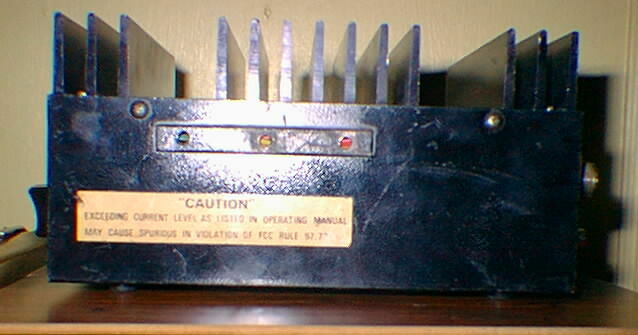 The photo below shows the bottom of the unit where the D.C. power connector is located as this part normally goes up against the back of the FT-301. The FL-110 is a very heavy duty 200w SSB input amplifier, it uses a pair of SRF1427 power transistors in a push-pull broad band negative feedback 1.5 thru 30 Mhz design with manual band switch selected low pass filtering using multisection filters. This over designed amplifier runs clean and cool especially if driving it at less than rated input of 10w (15w max). 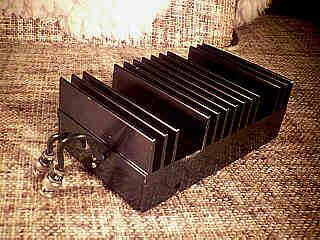 The heat sink is much thicker and longer than the average 100w output brick HF amps that I have seen over the years. The FL-110 can be driven with as little as 1w for RF sensing. The unit can optionally be hardwired for relay contact to ground or DC+ voltage keying. I have found out that there is an input attenuator that when removed will allow 5w drive to full output. In addition it will work into a 3:1 VSWR with reduced output without destroying the PA devices. Depending on the band, at 5w drive carrier from the FT-817 I get a worst case of 45w and best case of 65w out max and the amp runs just warm to the touch. It draws less than 10 amps with 5w drive and about 16 amps at 13.8v DC on full power driven with 10 watts to greater than 100w. All readings are carrier power into a dummy load with a calibrated Bird 43 meter. I have found that the FL-110 will work on 17 meters (15m band position) and 12m (10m position) and 30 meters (20m position) but output is 20% less than "normal" and a flat input VSWR to the rig. On 30m and 17m I get 55w and 60w in 12m. The unit is a big departure from other solid state brick amps that I have had my hands on and seem designed for in that is has switched filtering for each band. 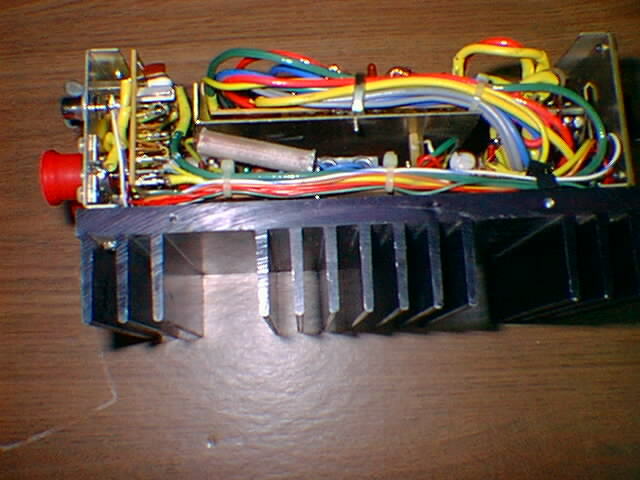 The unit consists of the main PC board for the amplifer devieces and circuity mounted to the oversize heat sink. 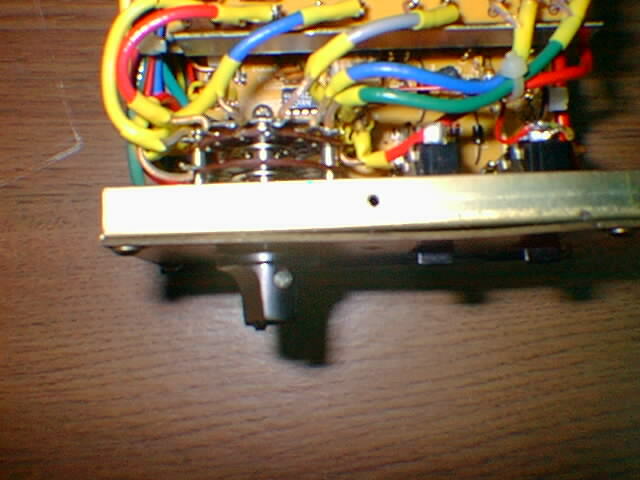 There is No QSK, though the key hang/delay time is adjustable by a variable resistor inside the unit. Then there are a number of daughter boards, the next biggest being the low pass filter board. There is a built in RF coupler for monitoring VSWR for fault protection (which may suitable for tapping into for an external meter circuit ?) 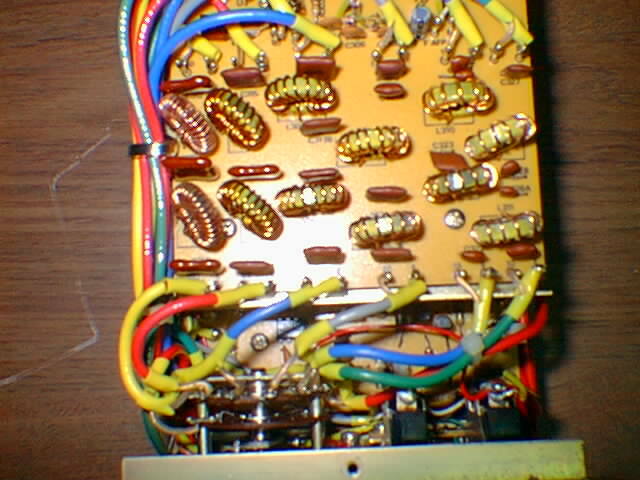 and the RF relay switching board. I have taken a number of photos of the inside of the unit for everyones viewing pleasure, however having this beauty in ones hands is much more impressive than any photo. 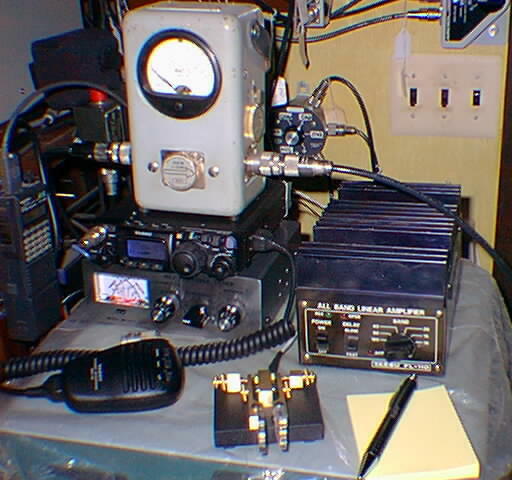 My newest portable antenna system is the MP-1 by Vern Wright, W6MMA. Click here for the W6MMA MP-1 portable antenna. My other wonderful portable antenna when I can erect it is a Hy-Gain HA-4000 military stainless steel tape-reel doublet antenna. Click here for the Hy-Gain HA-4000.